In total, 142,617 (+38.4 per cent) electrified BMW and MINI vehicles were delivered to customers around the world last year, said a company statement. “This great sales result and our impressive market share proves our vehicles are what the customer wants. In countries which offer appropriate infrastructure and regulatory support, we see how quickly electromobility can become the norm,” he said. “I’m confident that by the end of this year, there will be a total of half a million electrified BMW Group vehicles on the roads, with much more to come as we continue to extend our model line-up over the next few years,” he added. Europe is the group’s biggest sales region for battery and plug-in hybrid vehicles, accounting for over 50 per cent of sales in 2018. 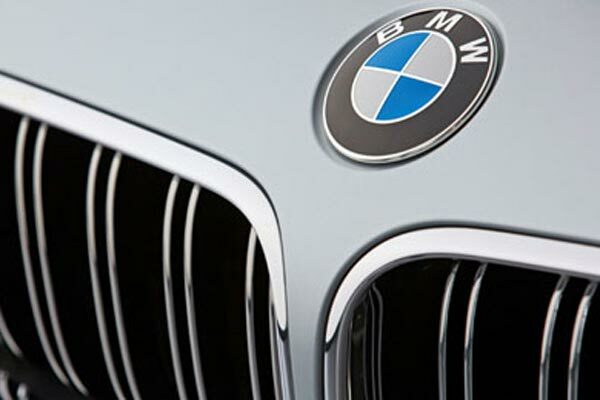 With 75,000 electrified vehicles delivered to customers in Europe last year, the BMW Group is the clear market leader in the region, with over 16 per cent market share, it said. The BMW 530e (combined fuel consumption: 2.3-2.1 l/100 km; combined power consumption: 52 – 47 g/100km; combined CO2 emissions: 13.9 – 13.3 g/km*) was the year’s biggest-selling luxury plug-in hybrid in the US, it added. Electromobility is an essential pillar of the BMW Group’s corporate strategy Number ONE>NEXT and one of the company’s four key future-focused ACES topics (autonomous, connected, electrified and services/shared). “2018 was a significant year in this regard, with the announcement of major new strategic co-operations as well as the unveiling of several key new models,” he added. 2019 will see the launch of several new plug-in hybrids, including the new generation BMW X5 plug-in hybrid (combined fuel consumption: 2.1 l/100 km; combined power consumption: 23.0 kWh/100 km; combined CO2 emissions: 49 g/km*) and the new BMW 3 Series plug-in hybrid (fuel consumption: from 1.7 l/100 km; CO2 emissions: from 39 g/km*), said the company in a statement. These models will have the latest generation of electric drive trains, offering an electric range of up to 80 km according to the NEDC cycle. 2019 is also the year when the hotly anticipated MINI Electric will be revealed, which will be built in Oxford, UK, it said. With the launch of the BMW i3, the BMW Group established itself early as a pioneer in the field of electric mobility. By 2021, the BMW Group will have five all-electric models: the BMW i3, the MINI Electric, the BMW iX3, the BMW i4 and the BMW iNEXT. By 2025, that number is set to grow to at least 12 models. Including plug-in hybrids, the BMW Group’s electrified product portfolio will then comprise at least 25 models, it added. The BMW Group is currently developing the fifth generation of its electric drivetrain, in which the interplay of electric motor, transmission, power electronics and battery will be additionally optimised.